Prioritize “High Threat” Exercises - Welcome To Staley Strategies Online Fitness Coaching! Adaptation means that your body is capable of changing (adapting) in some way after being exposed to a stimulus. A simple and familiar example is that your skin will darken when exposed to sunlight. Another example is that after a few weeks of using a wrench at your new job, your hands will develop calluses. And, bringing things closer to home, when you lift weights, you get bigger and stronger. – Which exercises target the most amount of muscle? – Which exercises involve the most amount of weight? Now this certainly isn’t to say that you shouldn’t do arm or calf work, because if these muscles matter to you a lot, you definitely should. But what I am saying here is that you should, especially when push comes to shove, prioritize big, threatening exercises because they have the most potential disrupt your metabolic processes. Then, if you still have time and energy for more, start to include “lesser” movements. Implicit in my recommendation here is that we never have enough available resources to do everything that we might consider to be ideal. In other words, you’ve gotta pick your battles, at least most of the time. 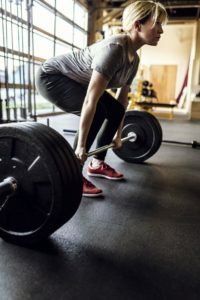 Finally, this particular strategy particularly applies to people who’s primary goal is to become leaner, which by the way applies to 98% of personal training clients. I never understood why trainers would have their clients do curls — first, because they’re such an insignificant threat, and second, because curls can be done on your own — you don’t need a coach to show you how to flex your elbow after all. Bottom Line: Your resources are limited: spend them on activities that really matter. Yes it’s true that not all people are a goos match for squats, or any other specific exercise I mentioned here. The key is to find high-value exercises that work well for your specific body.